Clients going through a divorce usually know what they are feeling: emotional pain and financial fear. They do not "feel anything legal. Although we all know that divorce is a legal process, the best way to connect with your clients is to meet them where they are at. As a divorce financial planner, I can be your best professional ally. Family finances used to be fairly simple. People worked for the same company for forty years, got a gold watch and a pension. The financial issues of a divorce were equally as simply, divide a house and maybe a savings account. Then, with the demise of the pension, came: 401(k)s, rollover IRAs, traditional IRAs, Roth IRAs, some of these pre-tax, some after-tax, some mixed; stock options (two kinds with different tax treatments, and even to 25-year-olds), restricted stock, stock appreciation rights, deferred compensation, etc. ; investment savings, brokerage accounts, do-it-yourself trading accounts, cash value life insurance, annuities. It all got very complicated. Clients began to come in three varieties: some have no idea what they actually have; some have a partial understanding of what they have, but confusion dominates; some have developed an very astute understanding of what they have and are about the "pull the wool over the eyes of their spouse and both attorneys. A divorce financial planner can help level the playing field for you when your client's spouse is financially savvy and trying to direct the course of events. While you feel confident regarding your legal competencies, know and understand your legal opposition, how do you match the financial expertise of the opposing party? How will you know if the spouse is "cherry-picking" the tax-advantaged assets, while making the balance sheet look equal? A divorce financial planner can provide insight, education and understanding to the unique financial aspects of each case. You simply cannot be expected to know the intricacies of every possible financial product, tool, or situation clients present. That is a financial planner's job. We deal with these products, establish and manage these accounts, and explain them to clients every day. To do so requires extensive education, licensing, registration, continuing education and periodic testing. (Check the qualifications of anyone presenting themselves as a divorce financial planner.) While you practice law and advise your client, I can help strengthen your negotiating edge with solid information regarding the issues and manage expectations for the client. This will lead to a more satisfied client, enhance your reputation, and grow your practice. While I understand that you must deal with the "now of the situation and get a case settled, or to trial, the client is concerned about their future. I can help deal with the future with financial projections and illustrations of the long term outcomes of various settlement scenarios as they are negotiated. When the client understands the future, they become less fearful, more agreeable and better able to make and own their decisions. They inherently know what they need to know. When you are talking about dollars and numbers of years, as in alimony and child support, that is very much a part of financial planning. It is a fact that, every day, divorces are settled with terms that appear to be equitable on the surface but, due to insidious tax issues, depreciation vs. appreciation, inflation, etc. the outcomes are not at all what was intended. In the end, someone will suffer the consequences. It just makes sense to have the financial information and understanding necessary to help these clients make the biggest financial decisions of their entire lives. As a divorce financial planner, I am ready to partner with you, enhance your services, let you be the client advocate, and relieve you of the potential liabilities inherent in the financial quagmire of each case. 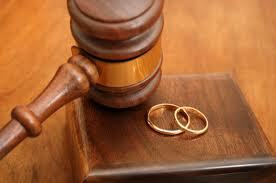 Prenups essentially define the terms of a divorce in advance. Intended to establish property and financial rights of each of the parties, a pro forma (or "in advance of") analysis of the terms will illustrate the future financial circumstances of each party, at various points in the future. Any number of scenarios can be developed for the possibilities of divorce after different numbers of years of marriage. Only if all possibilities are understood, can each party make an informed decision regarding the terms of a prenup. Anything less may have simply been a formality, without the protections that were intended, or with severe unintended consequences. From a financial perspective, it is advisable to provide a financial analysis and understanding of what is being agreed to in a pre- or post-nuptial agreement.